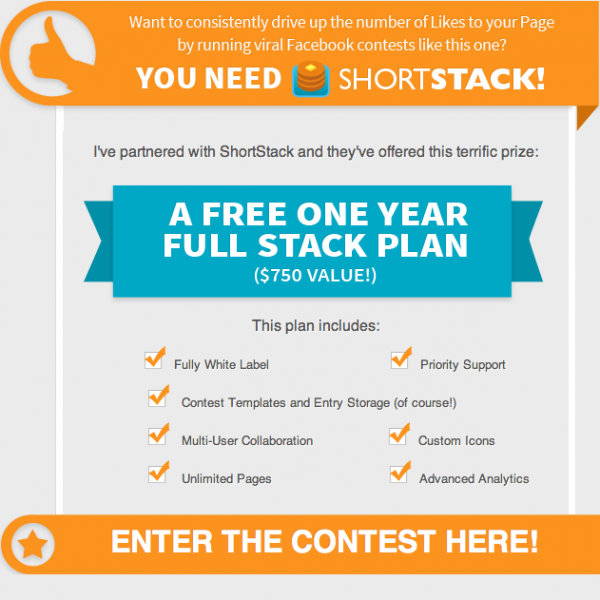 Create Your Own Facebook Contests: Win a Year Membership to ShortStack! Click the image above to enter this great contest! One of my goals is to provide you with as much value as is humanly possible. I want to give you the knowledge, know-how and every edge available to succeed at Facebook marketing. 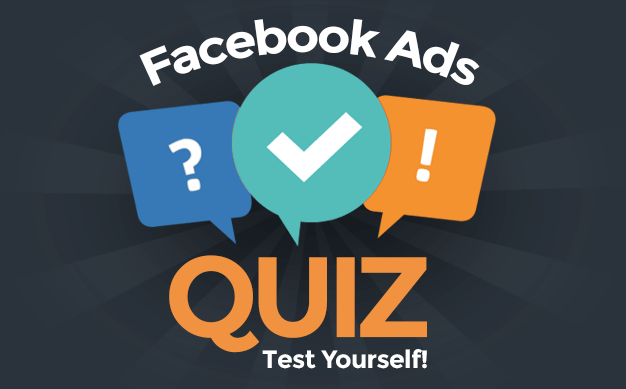 And now, for one lucky reader, that will include a powerful Facebook marketing tool: ShortStack. Not familiar with ShortStack? It’s one of My Favorite Things. It’s a great tool, not only for creating custom tabs for your Facebook Page, but also for running insanely viral contests. I have partnered with ShortStack to offer one year free of the “Full Stack” plan (a $750 value!). What better way to show you what it can do than by running a contest with ShortStack… to give away ShortStack? Running a great Facebook contest that stays within the rules isn’t easy, so that’s why it’s so important to have a weapon like ShortStack at your disposal. At a $750 value, it’s also going to save one business owner a ton of coin. You know I’m a big fan of ShortStack. I use it to create all of my Facebook tabs currently, and I also use it to create tabs for clients. Beyond offering an awesome product, they’re just great people at ShortStack, which is why I love working with them. It’s also why it’s always one of the first products I’ll recommend. Enough gushing about the awesomeness of ShortStack. Go and enter the contest! You first need to be a Facebook Fan of my Page, and all you need to provide are your name and email address so that I can contact you if you win. That’s it! What would you do with ShortStack if you win? Let me know in the comments below!